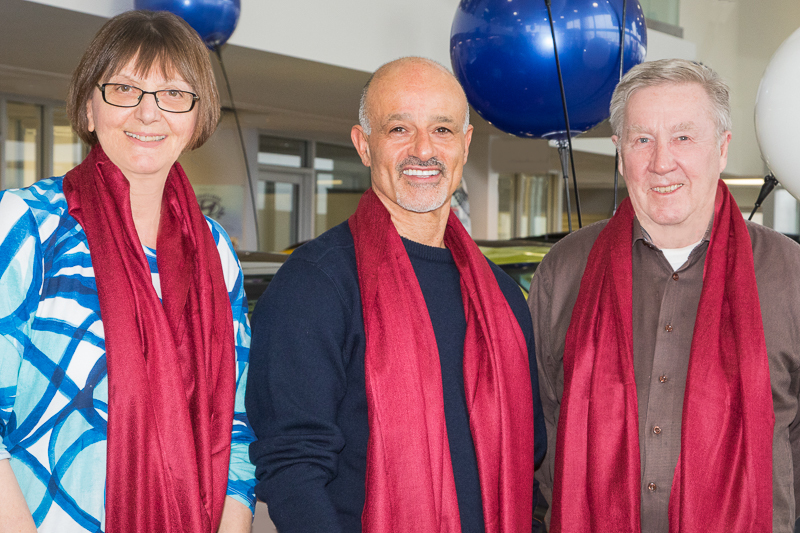 Mario Bruno kicks off the 2019 Fantasy of Trees Red Scarf Campaign with Marilyn Cornwell, Fantasy organizer and Jim Howden, Rotary Club of Grimsby President. 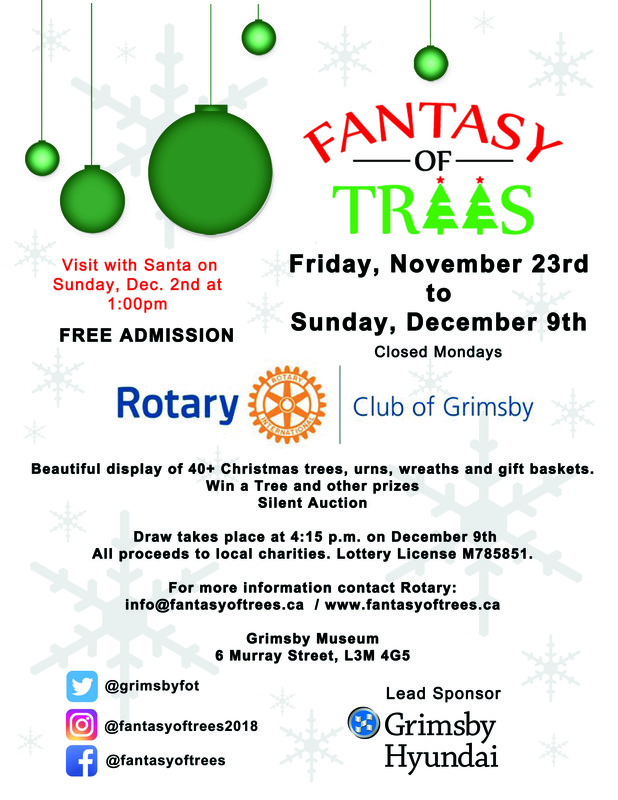 Grimsby Hyundai is the 2019 Lead Sponsor for the Fantasy of Trees Nov 22 2019 to Dec 8 2019 at the Grimsby Museum, 6 Murray Street. We invite you to join the sponsorship team for 2019 – our 20th Anniversary! This is an invitation to our sponsors, recipients, decorators/designers/volunteers, and town partners to join us to present the cheques to our charity representatives! 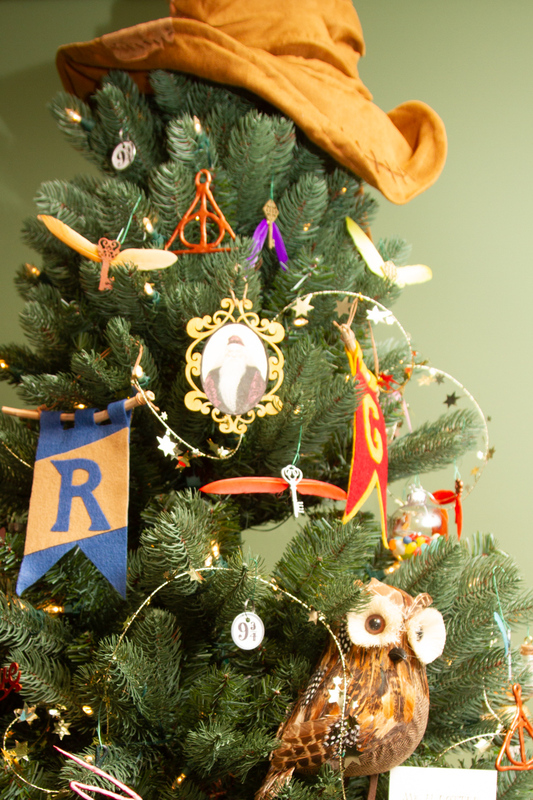 The 2018 Fantasy Favourite Tree …. Is MONK’S CHOCOLATE TREE! We tabulated over 300 votes and want to tell you the news! The Favourite Tree of 2018! Monk’s Chocolate Tree was voted the favourite tree this year. CONGRATULATIONS to our creative designers and decorators who made the 2018 tree display the most beautiful ever! We were so delighted to have Stephen Parr from Cogeco news visit us this past week and video the Fantasy of Trees display. We thank Janet Oakes of the Grimsby Museum for her wonderful commentary. And we captured Bob and Lois Gowans on video as well. Bob is the originator of this annual fundraiser – he started it 19 years ago. Congratulations to the Rotary Club of Grimsby for this great community event. No Trick – All Treats! 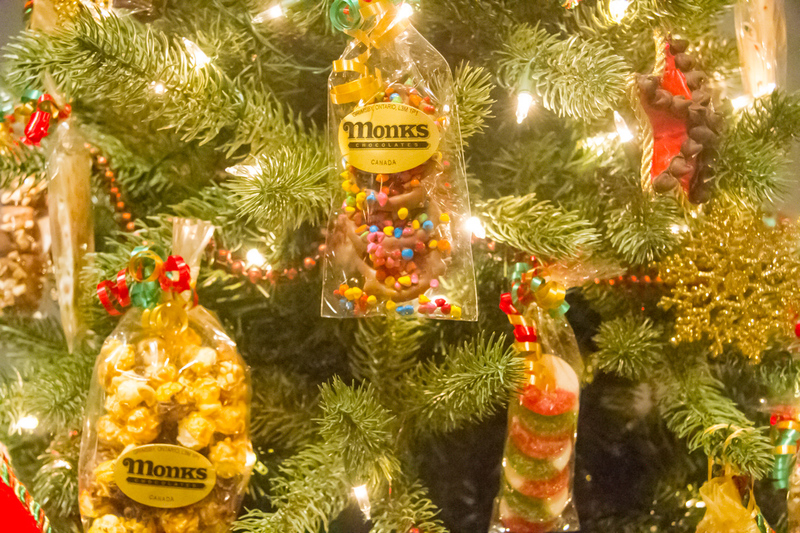 Our 2017 “Treat of a Tree” had Monks chocolate decorations…coming again this year! 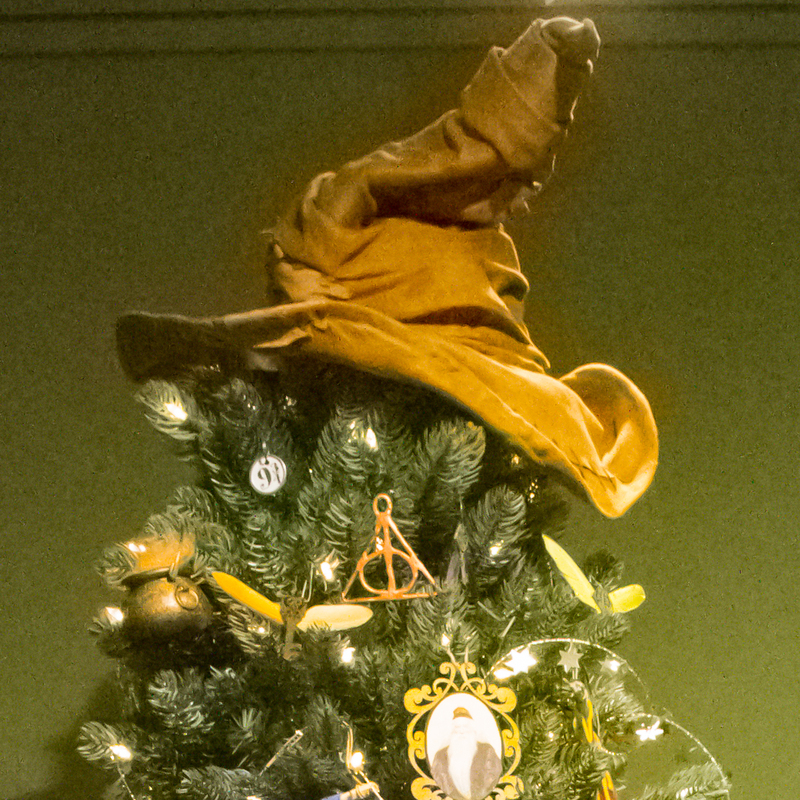 Is there a Halloween Christmas Tree? It is almost Halloween! 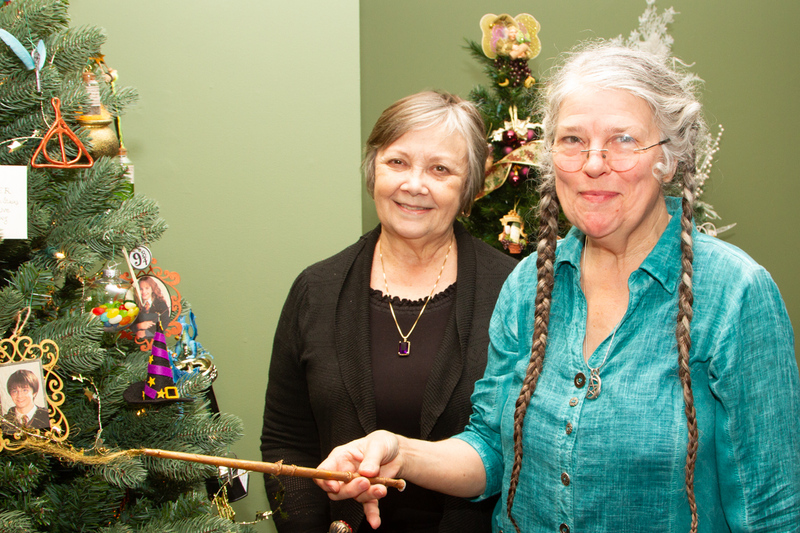 Today we are enjoying the “hallowed” Christmas tree from our Fantasy of Trees 2016 – the very special and much loved Harry Potter Tree with decorations created by Jill Linkert with help from Judy Meldrum! There will be a little Harry Potter coming to this year’s Fantasy! Not a tree! What could it be? 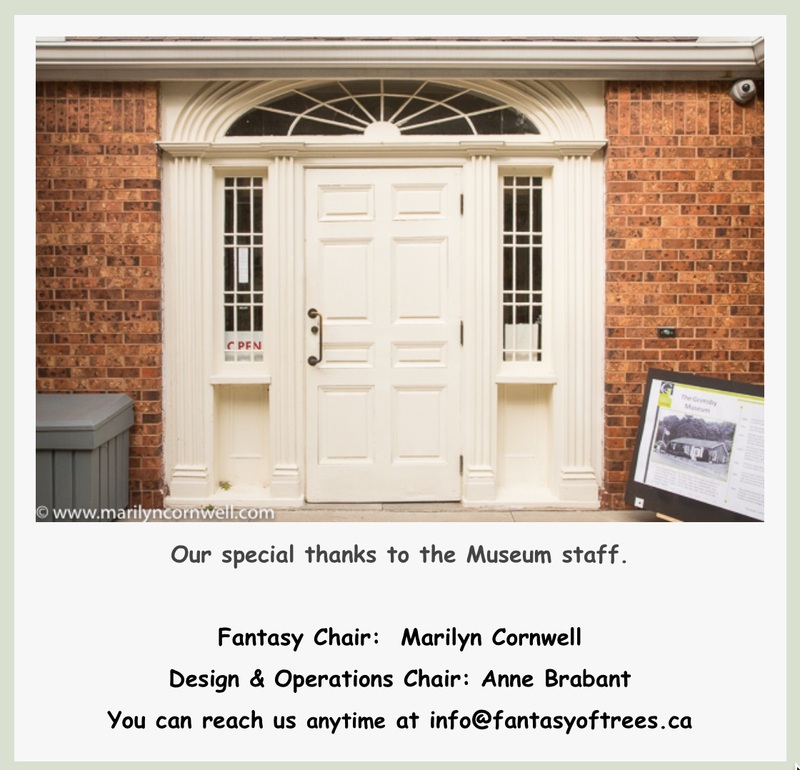 Our Thanks to the Grimsby Museum! We are thrilled to receive a special item for the Silent Auction this year. We would like to thank VerticalScope for donating an upright stationary exercise bike to the Fantasy of Trees. This is a fantastic bike and would make a great gift or motivator for your New Years resolutions! Take a look at the Sole B94 review. That’s an A rating in the review picture below. 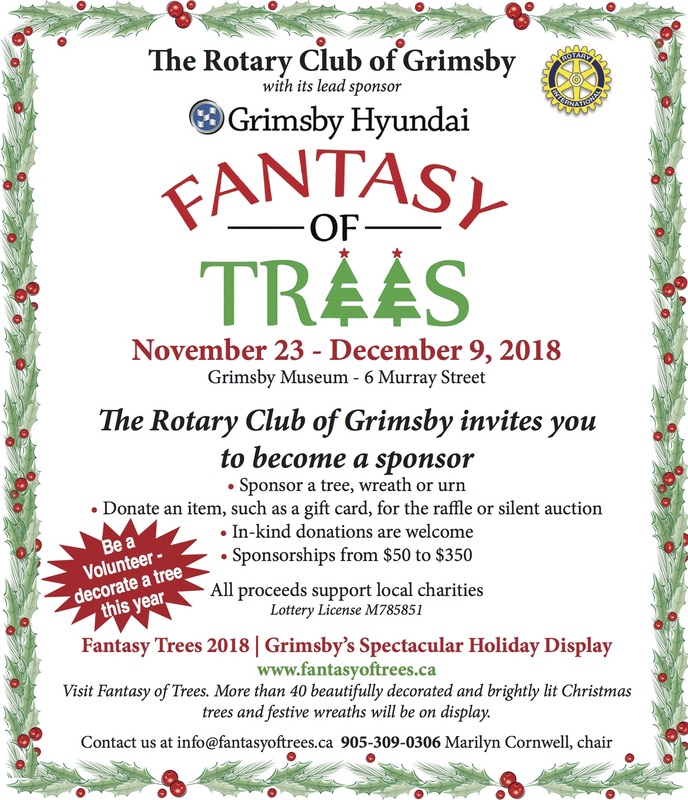 With donations like this, we are excited about this year’s Fantasy of Trees – our 19th fundraiser for local charities in the Grimsby and area community. Consider joining the community sponsors who make this happen each year. We invite you to become a sponsor at this year’s Fantasy of Trees.